Tomorrow is the first day of spring! 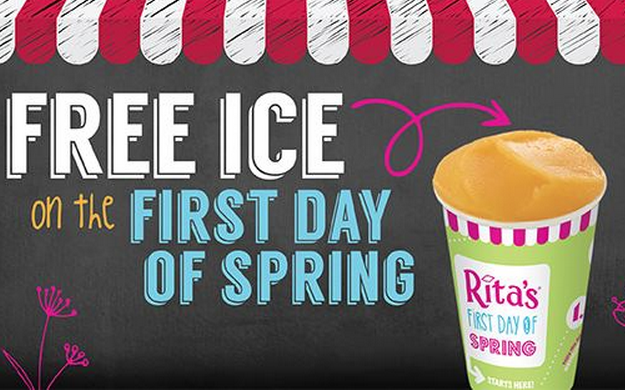 Celebrate by heading to your nearest Rita’s and get a FREE Italian Ice! This will be available from noon to 9:00pm.